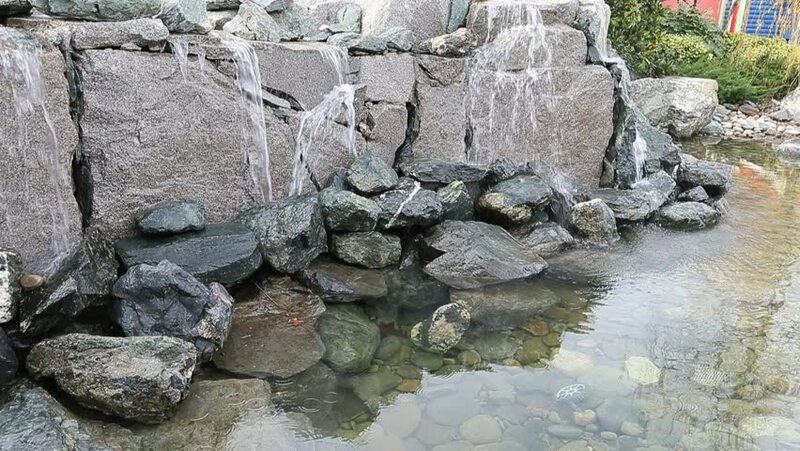 Stone wall with a waterfall. Streams of water flow over huge rocks. Streams drain into the lake. Waterfall in an amusement Park. Beautiful cascading waterfall in summer. Close-up view to waterfall. hd00:12Waterfall on big stones. Jets of water flow with large rocks in the Park. A small lake with green water at the foot of the waterfall. Artificial waterfall in the Park creates a pleasant atmosphere. 4k00:16Fragment of a stone wall. The old wall is made of stone. Texture or background.